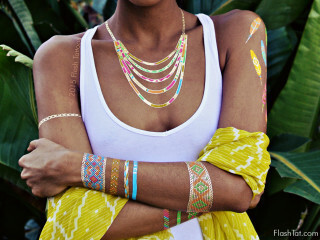 Flash Tattoos is turning two years old! To celebrate, the Austin brand is hosting a birthday party with free Flash Tattoos, an unveiling of the new Fitty Cent Flash gumball machine and complimentary "Flash 75" cocktails from 5-6 pm (if you're wearing your new Fitty Cent Flash). Admission is free: RSVP required.